With Google’s recent blog announcement that Google Reader will be retired on 1 July 2013, online conversations reached fever pitch last week with Google Reader trending on Twitter, and searches for alternatives to Google Reader breaking out in search over the last 7 days. 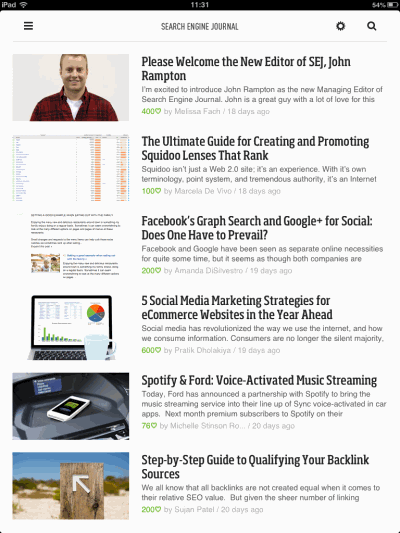 One contender that seems to have quickly entered the limelight is the RSS reader Feedly. 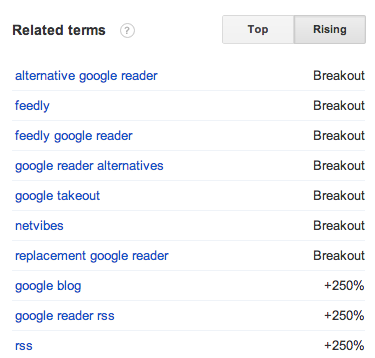 Google Trends reported a breakout in searches for Feedly over the past week, and its dramatic rise to fame led Mashable to report today that 500,000 Google Readers were migrating to Feedly. Looking at the Feedly twitter feed, they are clearly being deluged in tweets (and coping well it seems). Their tweet assisting Google Reader users who want to migrate to Feedly, clearly demonstrates the surge of new customers looking to jump ship before Google Reader finally retires. What immediately strikes me about Feedly (yes I’m one of the 500,000 who migrated across a few days ago) is the slick interface that quite frankly puts Google Reader to shame. 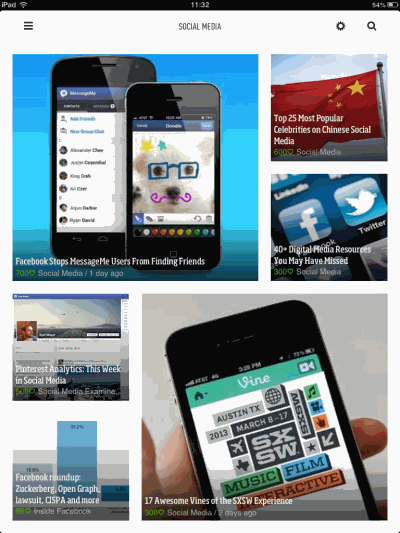 To suit personal viewing tastes, it provides several viewing options including: Titles (similar to the current Google Reader view), Magazine, Timeline, Mosaic, Condensed, Cards or Full Articles. It also allows users to log in with their Google credentials easing the migration process and (unsurprisingly) allows social sharing of articles (including support for Buffer – social sharing service). 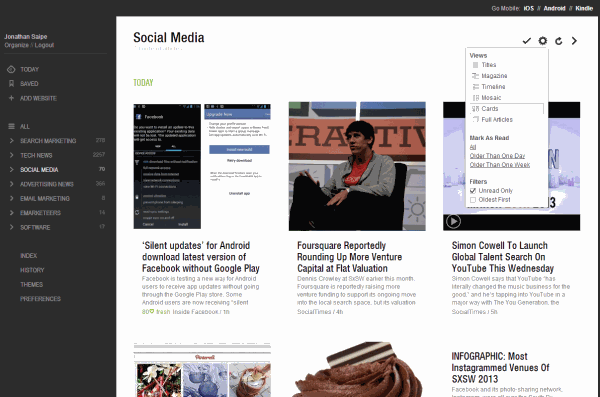 Feedly has a seamless experience between desktop and mobile (app) versions. Having used Feedly on a desktop, iPhone and iPad Mini, I can vouch very positively for all versions with only a slight gripe that the app didn’t allow much in the way of feed management. Whilst I haven’t had time to test other RSS readers, it’s worth noting that Newsblur and Netvibes have been getting some good coverage. So it may well be worth checking these out. 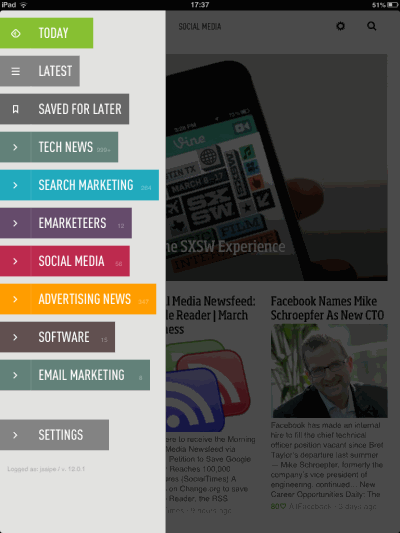 Have you had a chance to test Feedly? Feel free to share your thoughts with us. And by all means tell us about your favourite RSS reader.